Pilot schools will help define new open standards for GDSN, including the data available behind each unique bar code, known as GTIN attributes. These attributes correspond to operational data used to share data among stakeholders and advisors to drive data analytics. K-12 brands are now publishing GDSN data to a centralized database using prototype software available free to both Suppliers and Schools. As a result, data for more than 50,000 products are now searchable in real time to menu planners using this powerful search engine during the menu planning process. Nutrients, allergens, portion sizes, and child nutrition meal pattern credit are written to a local database and available with a single click of a mouse. This will enable Nourish to Flourish collaborators to test and measure the impact of interventions using a common reporting protocol. Multiple stakeholders are now actively involved in the design and testing the Data Sharing & Analytics Initiative. The solution, being developed as an open data standard, now includes suppliers representing hundreds of brands publishing specifications for over 50,000 products on line for school menu planners to access. A community of program operators, state agencies, suppliers and distributors, ag groups, GPOs and national policy groups are also providing valuable input and feedback. How do we measure net time savings of GDSN adoption for menu planners? Does K-12 data standardization make it easier to build and support interfaces to point of sale, ordering, and inventory systems? How do we assure a process that fully understands and standardizes the data needs and uses of stakeholders across proprietary software systems? What is the role of state agencies as participants and advocates of data standards? How do distributors and suppliers consume and use data while protecting security and privacy? How does free access to and use of published GTINs influence competition and improve quality control? What is the role of GTINs in food safety? Review and execute the N2F School Pilot Agreement regarding data access, sharing, and security in compliance with regulations including COPPA, FERPA, and typical state and local policies governing data security and management. Assist with obtaining and matching GTINs for current contracted items used in Menu Plans and Recipes. This may include requesting Suppliers to publish GTIN Attributes to the N2F data pool. Assist in setting up local protocols required to upload and download approved data exchanges to and from a centralized data server to improve and better manage the supply chain. 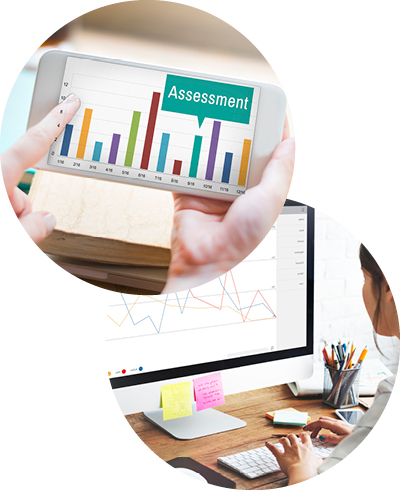 Provide feedback to refine standards for GTIN attributes and upload specifications, as well as Key Performance Indicator (KPI) reporting formats. Once the measurement tools are in place, evaluate the local feasibility to test various innovations originating from other N2F Work Groups and the De Paul/CPS research study. Examples might include: Made to Order sandwiches, introducing new products and brands, integration with mobile app communications, student ratings, establishing loyalty programs, and line queueing strategies. Identify a single point of contact, possibly a dietetic intern or program manager, for the N2F Pilot to ensure that the program runs well and to help identify and resolve any issues at the Pilot Site. Coordinate with State and Regional Dairy Councils throughout Pilot life cycle. Manufacturers and suppliers are central to this initiative and the GDSN content you provide will influence menu planning decisions and correspondingly student preference and choice in the cafeteria. School nutrition is changing, and the best way to maintain an edge in the industry is to be a part of this change, and to stay close to the stakeholders and influencers that will be decisive in industry change. Participation is voluntary, but by joining this initiative you will join other national manufacturers and industry leaders that are already participating. As a benefit, we will share data analytics and related insights to the way that schools are reshaping the Child Nutrition landscape for vendors, distributors, schools and our children.